Level term life insurance covers a specified period, providing a lump sum payment to beneficiaries if the insured dies within this time frame. This coverage is designed to help dependents maintain their quality of life by covering household bills and mortgage repayments. Life insurance in general is the least expensive in decades and term life is one of the cheaper coverage options. Depending on the age and health status of the insured, this coverage may cost no more than a cup of coffee each month. Level term life insurance features a steady coverage level throughout the covered period. With a level term life policy, the amount the individual is insured for does not change during the period covered by the plan. For example, taking £100,000 worth of level term life coverage will result in a total lump sum payout of £100,000 should the insured die during the term specified in the policy. This payment can be made to one person or multiple people, as named by insured on a beneficiary designation form. People typically use this policy to protect their beneficiaries or cover an interest-only mortgage. Compare Level Term Providers Get The Best Deal – Free Quote & Save Up To 35%! Level term insurance can be purchased as an individual or less expensive joint policy for partners or spouses. A joint policy usually pays out the benefit only when the first person dies within the stated term. This leaves the surviving partner or spouse uninsured and his or her beneficiaries with no payout. For this reason, both spouses or partners often take out an individual policy so each of them remains covered throughout the policy term. If both name the same beneficiary and both die within the stated term, the beneficiary receives a payout upon each death. Benefit payouts can be used for any purpose and many beneficiaries use a portion of the money to cover funeral arrangements and pay final bills of the deceased. During the 1980s and 1990s, many UK residents took interest-only mortgages to borrow money for homes that were not expected to depreciate in value and could be sold when the loan ended to repay the principal. Beneficiaries of a level term life policy can use the insurance payout to continue making the interest payments until the home is sold. This extra cash comes in handy when surviving beneficiaries are financially dependent on the deceased. The money allows bills to be paid while these survivors look for work. Were it not available, the family could quickly sink into debt and getting out of it could be very difficult. When calculating the level of coverage needed, a person should think about the expenses the family will be left with upon his or her death. This may include future expenditures, like a new car or university education for children. Many people forgo life insurance because they are young and in good health. The real deciding factor should be whether another person stands to lose financially upon your death. Whether you are 25 or 55, if you have debts like a mortgage, personal or auto loan, or credit card bills, someone must pay these when you die. Providing a lump sum benefit through a life insurance policy prevents the other party from having to use his or her savings. Regardless of your age, if someone relies on you for financial support, a life insurance policy is recommended. Since term insurance provides protection for a limited period, it is important to consider the expenses that could come into play during that time. For example, children who are minors now may enter college before the term expires. In that case, their higher education costs should be considered. 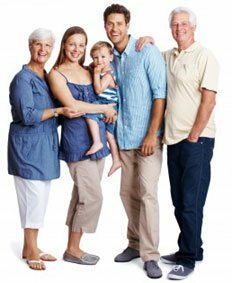 If the family would need to move to a more expensive area so the surviving spouse could obtain work, this should also be factored into the amount of coverage required. Though the benefit for a level term policy remains the same, this is not always the case with premiums. Some policies feature fixed premiums for the entire term, while others have premiums that are reviewable at certain intervals, typically every five years. Premiums are based on the age, health status, smoking status, level of coverage, and policy term. Ten, 15, and 20-year terms are the most common but we can locate insurance companies that offer other terms. When you use our site to find insurance, you will receive several quotes that meet your search parameters. This allows you to choose which plan is best based on comprehensiveness and price. If the premium is reviewable, the insurance company reserves the right to increase it when it deems necessary. For example, if the company has experienced an unusually high volume of claims, it may need to increase premiums to cover its costs. Before purchasing a policy, consumers should understand whether their policy has a fixed or reviewable premium and they should be aware of the terms and conditions for premium increases. A life insurance payout is not always guaranteed. If the insured commits suicide, this often voids the policy and payout. Any health-related changes such as taking a policy as a non-smoker and subsequently taking up smoking or being diagnosed with a health condition that the individual previously did not have could also void a policy. Failing to make premium payments during the term of the policy will result in cancellation. The policy cannot be redeemed for cash, no benefit will be paid upon the subsequent death of the individual previously insured, and premiums paid will not be refunded. These and other consequences make it important to consider life insurance carefully before purchasing a policy. Level term life insurance is a smart option for anyone who wants to provide financially for a dependent. It covers the individual for a specified term and guarantees a lump sum payment should the person die within that term, subject to certain exclusions. Named beneficiaries can use the money to repay the mortgage, cover funeral expenses, pay final bills, and maintain their lifestyle.